While I didn’t really report on it, Crysstal and I went to San Diego Comic Con in July. It is always a fun time, even though we don’t spend a ton of time in the exhibit hall as it is a madhouse. But one thing I always do is check out the original comic and graphic art. And WOW was there some cool stuff there this year. 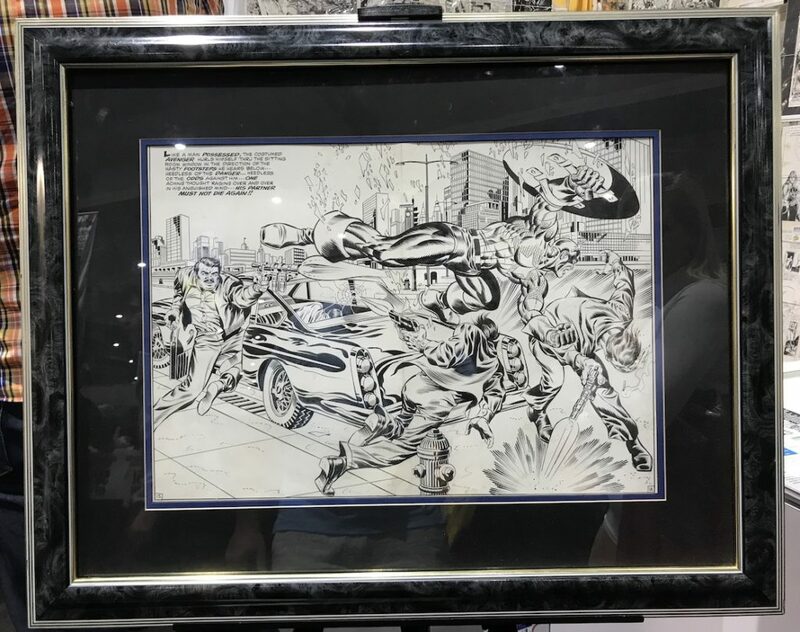 The highlight for me was the original art to the two page splash page in Captain America 111. 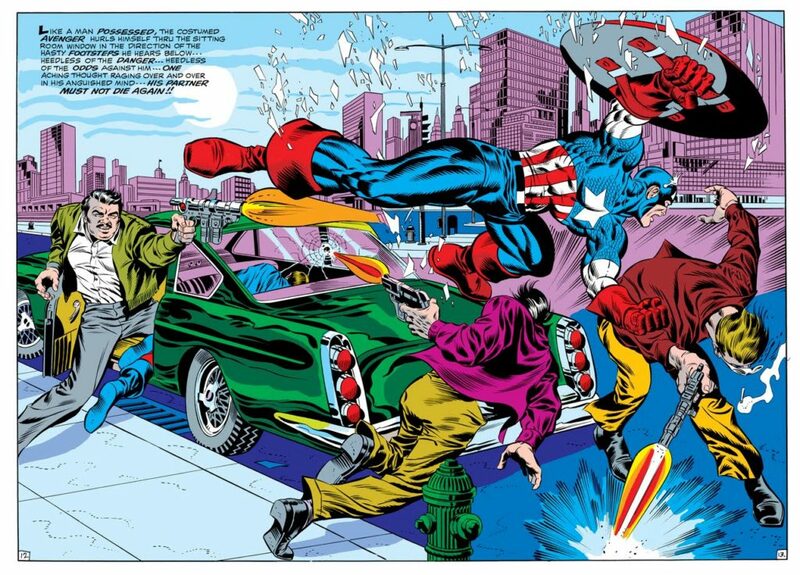 Steranko incorporates the dynamic action that Jack Kirby was the master of, with the realism and 60’s style Steranko became know for. 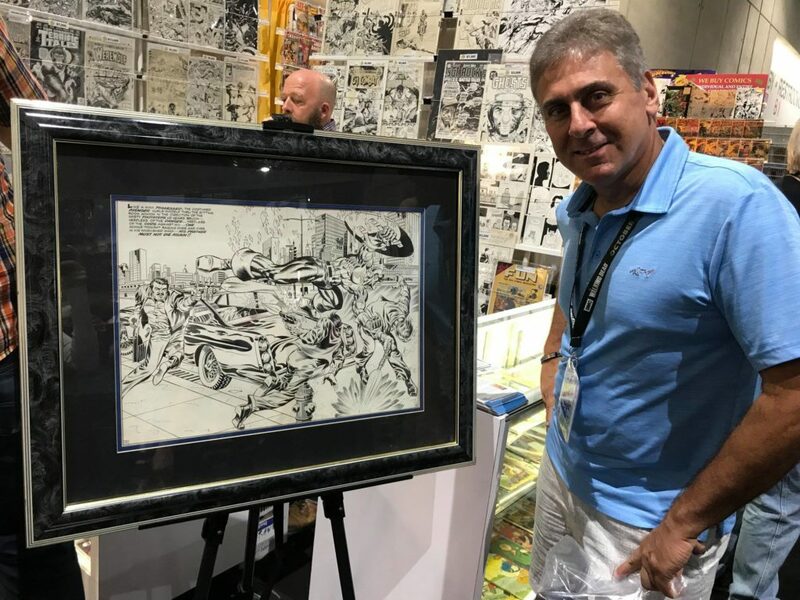 The three issues he did on Captain America not only are my three favorite comics of all time, but are legendary in the comic world. Read about it in a great article on them. If you are a comics fan you MUST read about it! And how it looked in the comics…. 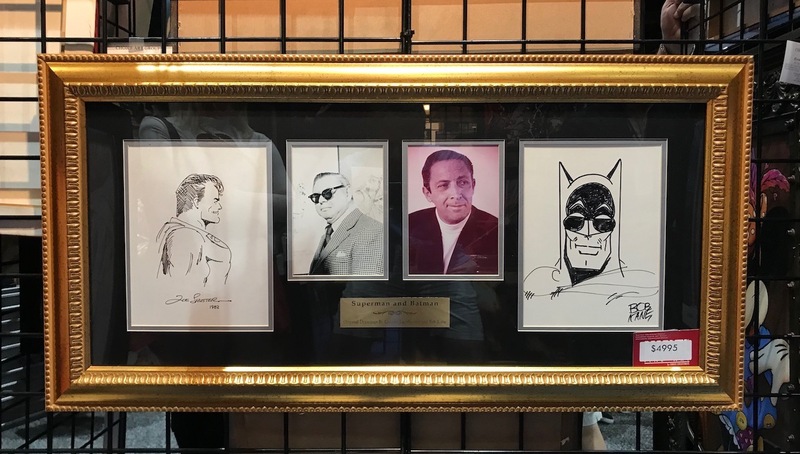 The other piece of note was this amazing double sketch featuring a Superman sketch by his creator, Joe Schuster, with a Batman sketch by his creator, Bob Kane. We thought about picking this up as we are both such huge comic geeks. And while I am pure Marvel and Crysstal a DC fan, it was a bit outside our budget. But what a piece! Tomorrow, a bit on the Graphic art from the show!